Achieving a comprehensive clear picture. Harrison Assessments Talent Solutions™ (HATS) is a leading performer in assessment theory, methodology and technology, with high accuracy in predicting job performance. The questionnaire measures 175 behavioral competencies and supports the full spectrum of talent management services: selection, development and career transition to name a few. I love it because it is comprehensive, fast, accurate, easy to use and cost-effective. It assists in ensuring that organizations achieve a comprehensive and clear overall picture for decision-making, leadership development and team dynamics. Backed by over 20 years of research, Harrison Assessments has over 2 million users in 25 countries and is offered in 20 languages. As a consultant for Harrison Assessments I am here to help you consider how this tool might be of value to you and your organization. Whether you are a workforce development specialist preparing the workforce of the future, an individual looking for clarity or an executive team seeking to transform your workforce to meet your objectives, HATS is the tool for you. HATS is uniquely customizable to assist in the analysis to ensure optimum fit and predict job success. The system effectively addresses selection, development, and succession needs to manage talent from front line to executive levels. 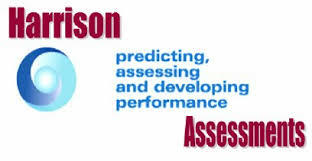 For more information on Harrison Assessments™ please contact me or visit www.harrisonassessments.com. Once we connect, we will develop a personalized a plan to help you meet your goals.